Everybody has their favourite Greek island, and for varying reasons. As you know, I research the Dodecanese islands of Greece for The Rough Guide to The Greek Islands (Rough Guides) and therefore have grown to really love this chain. Hydra island, however, is in a class of its own. The name ‘Hydra’ stems from the Greek word for ‘water’ and is referenced for the island’s many natural springs. 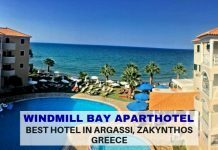 Located about 1.5 hours, 37 nautical miles from Athens by high speed ferry from Piraeus port (€28 One Way – 2017 prices) or literally across the water from the Peloponnese region of Greece (see above map), it is possible to visit in a day, but I highly suggest you take time and make Hydra your choice of island to stay a few days, really soak up the island’s essence and special qualities, of which I shall share with you here. Hydra is the island known for having no cars. It does, actually. One fire truck and an ambulance, and I think it also has one truck to take away the municipality rubbish that obviously accumulates (but I am not 100% sure). But indeed, the rest of Hydra is gloriously car and even better, motor cycle free. This means that you rely on walking around, but be warned; Hydra is quite hilly. It consists of the main port, known simply as ‘Hydra Town’ – and other bays and islets, accessible as you wander. You don’t have to – however – rely on your two feet. 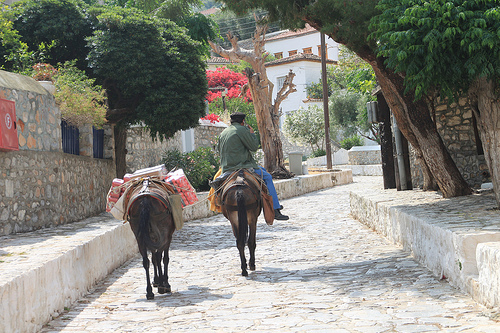 Hydra is the island that has donkeys and mules to cart goods around; from tourist’s luggage to their accommodation to locals carting their weekly food supplies around, or people, if needs be. To reach the various bays around the island, the water taxis from Hydra Town whizz around at all hours of the day (and night – up to just after midnight, depending on the season – about €9 per person from Hydra Town to Kamini Bay, for example). I have to say, lying in bed at night, listening to the noise of boats zooming around as opposed to the city roar of motor bikes and cars is very refreshing. Hydra island – Greece – is unique, like no other Greek island. It’s like stepping back to the 1800’s (but with Wi-Fi) which can be seen through the architecture of the place, even its every day way of life – indeed, it is deliberately preserved as such to deter the average package holidayer. As you approach the island, its architecture stands out immediately, almost Venetian in style. The many mansions in the harbour are old Captain’s mansions or shipowners – the most spectacular one, to my mind, being the Historical Archives Museum at the entrance of the harbour – a stone mansion founded in 1918 by shipowner Gikas Koulouras and renovated in 1996. Think about it: to undertake the construction of such magnificent buildings with no transport means, the inhabitants of the island have – throughout time – had to work hard to be at one with the natural elements, to evolve an organic relationship with nature and the sea. Even going about daily tasks takes planning: it’s not as if you can pop out in your car down the road to a big supermarket (there are none). Hydra, therefore, creates a unique type of Greek; a person who respects and appreciates the beauty yet harshness of every day life here. In turn, this will create a unique type of tourist. Hydra island Greece – what type of holiday? As a predominantly rocky island, sandy beaches are in short supply…however there are gorgeous swimming coves and bays all around the island. You can walk to these, or take a water taxi. For a more in depth look at specific things to do on Hydra island, take a look at this article. 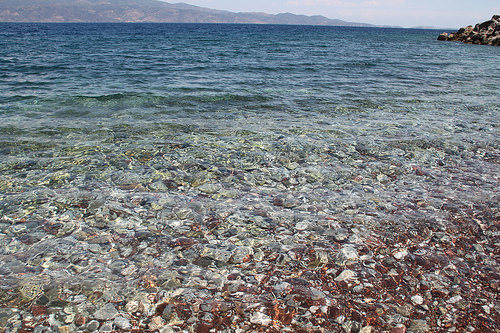 The blue waters of Hydra make for gorgeous swimming, despite the stony beaches. The main ‘point’ of Hydra, however, is to re-connect with yourself. This does not necessarily mean undertaking a yoga retreat on the island, although of course you can if you wish, but after talking with locals and spending time here, I realised that Hydranites are (rightly) proud of their heritage, this synergy between man and nature. I was told by more than one person. I outwardly smiled whilst inwardly thinking that most people from other Greek islands had declared the same about their own…but after only a few days, I began to understand what they were referring to. Indeed, Hydra has produced many famous Greek artists (as in poets, painters, musicians) and in the 60’s the Canadian singer/songwriter/musician/poet/novelist Leonard Cohen bought a house here. It’s an island that inspires and nurtures the creative side that exists in us all. Is it the fact that no cars exist that has kept Hydra joyously free of the package tourism? More than likely. As mentioned, every day life requires a little more thought on Hydra, it’s a gloriously ‘unsimple’ island. “Faces of Hydra” whereby local professional photographer George Skordaras exhibited portraits of these local people, and the year after year returning tourists. Their love of the island is clearly reflected on their faces, and their love of nature weathered into their features. 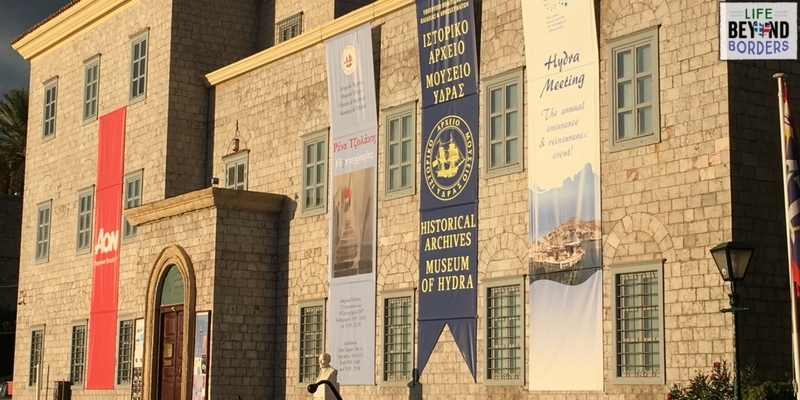 The intention of the exhibition is to produce a book to take to various tourism exhibitions to showcase the culture of Hydra. As an island, Hydra offers many cultural events throughout the year. It’s what the island is famous for, as mentioned; it cultivates creativity and artistry. Furthermore, my article on Where to Stay on Hydra Island will give you even more incentive to want to come once you see the gorgeous houses and cottages to rent. 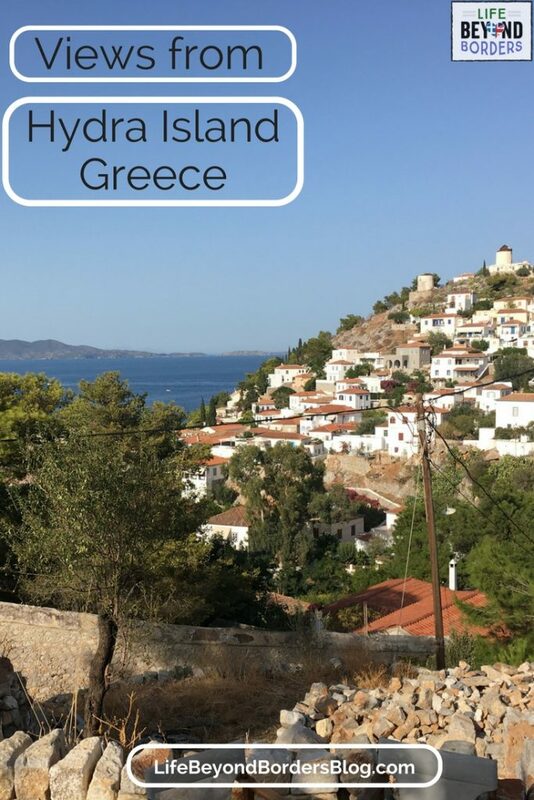 Hydra is an island to relax, to gain perspective, to gain synergy with the environment, to possibly even ‘bump into’ a very famous person; politician, creative professional, actor or singer. These people seek solitude with the occasional company on the island…they know they will be left alone as they quite happily mingle amongst every day people. 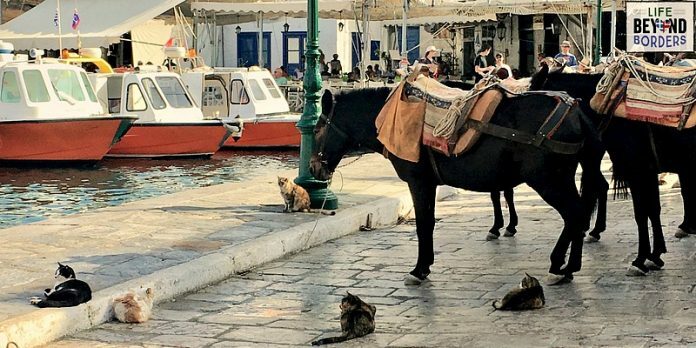 If it’s fuss, attention and fanfare they want, they go to Mykonos. Hydra, I hope I have shown, is entirely different in every way imaginable. Yes, there is an ‘energy’ on Hydra that is quite apparent. I understand, now, what the locals refer to. It’s hard to define and I do hope you’ll travel there to discover for yourself. Thanks for writing and sharing a post about Hydra! The Island sounds incredible, and I would definitely love to visit it. It’s amazing how they had to build so many things without using any vehicles. 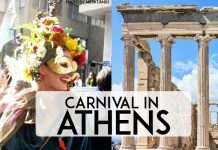 We just returned from a holiday to Kos and definitely want to keep on exploring the Greek islands, so I read this with great interest. The fact that it has no cars alone is enough for me to add Hydra onto my “dream destinations” map! Chilled out it is indeed. really enjoyed this. I unfortunately only got the chance to visit Mykonos and Santorini, but if I go back to the islands I definitely want to check out Hydra. Your post was great! Yes, I make a point of highlighting as many of Greece’s islands as I can. 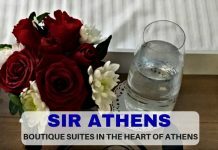 “She” is so much more than merely Mykonos and Santorini. With 100s of islands to choose from, you can see so much more of ‘her’. A lovely article and great photos. Hydra is definitely in my top 5 Greek Islands, we’ve sailed there many times on our yacht. But my favourite has to be Paxos, in the Ionian. We’ve sailed to Lakka five times this year already, and visited the whole island many times over the last few years. It has everything – pretty harbours, turquoise water, a local bus, beautiful walks. We love Paxos! I’ve never made it to Paxos. I’m glad you have just as much passion for the Greek islands as I do Georgie. Maybe see you on one one day! Hyrda has been my favorite island for many years! I always try to visit when I go to Greece! You must take the time to actually sit and breathe. There is a picture on every corner and beauty wherever to look. I love that the Hydroits are fun, welcoming, quaint, yet sophisticated in their own way, and so rightfully proud of their island! The idea of a car-free island that is accessible from Athens really appeals to me as I would love to experience a different, quieter side to Greece. Adding to my bucket list! As you have probably gathered, I loved Hydra and would go back again in a flash.